We can use animal imagery and other nature totem images as a way to learn about ourselves and the invisible world. We do not have to believe that these images and totems are beings of great inelegance, but there are archetypal powers that reside behind and oversee all manifestations in Nature. These archetypes have their own qualities and characteristics which are reflected through the behaviors and activities of animals and other expressions of Nature. When we pay attention to and acknowledge a nature totem, we are honoring the essence that lies behind it. We are opening up and attuning to that essence. We can then use it to understand our own life circumstances more clearly. We can share in its power or “medicine”. Nature totems– especially animals—are symbols of specific kinds of energy we are manifesting and aligning with in our own life. Terrestrial animals have always had a strong symbology associated with them. They have represented the emotional side of life, often reflecting qualities that must be overcome, controlled, and/or re-expressed. They are also symbols of power-powers associated with the invisible realm that we can learn to manifest within the visible. Birds have often been considered the symbols of the soul. Their ability to fly reflects the ability within us to rise to new awareness, bridging the earth and the heavens. As totems, birds all have peculiar characteristics, but they can all be used to stimulate greater flights of hope, inspiration and ideas. Aquatic life can also be a totem. Water is an ancient symbol of the astral plane and the creative element of life. Various fish and other forms of aquatic life symbolize guidance to specific expressions of intuition and creative imagination. They can reflect the feminine side of our essence. Last Wednesday we started going through the steps one must take to discover their totems. This blog will continue on from last week explaining the last steps. 9. Take four or five slow, deep breaths and allow yourself to feel grounded and connected . 10. Begin your verification process. Research and study the totem and its qualities.. Meditate and concentrate plate on its qualities as they apply to you and your life circumstances. Drums and rattles are ,effective instruments to use although they are not crucial. If drums and rattles are used, the rhythm should be slow and steady. You should let the drum beat lead you. I recommend you do not do any imaging, just sit and feel the drum beat for at least five minutes. This relaxes you and brings your body rhythms into synchronization with the drum. If you do not have drums or a rattle, you may use some soft music that is repetitive and nonintrusive. Make sure you wont be disturbed. Take the phone off the hook, lock the door, and / or do what ever is necessary so that you will not be interrupted.. Make yourself comfortable. Sit or lie down, whatever is easiest for you, but make sure your back is strait so the blood can flow freely up the spine. Close your eyes and breath deeply. 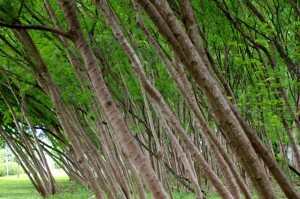 Then begin to preform a progressive relaxation. Focus on each part of the body, sending warm, soothing sensations through it. Start at the feet and work your way to the top of the head. Take your time with this. 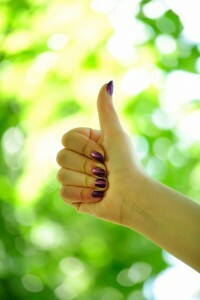 The more you are relaxed you are, the more effective the exercise will be. Don’t worry if your mind wanders. Just bring it back to where you left off and continue. Then simply imagine the scenes that follow. Next week the scenes and the exercise. The reality of spirit beings and their assistance to those in the physical has been a part of every major religion. The Greeks spoke to spirits and gods through oracles. The Bushmen of Africa developed ritual and myth from the moments and activities of animals such as the eland and mantis. The Native Americans imitated animals in dance and ritual to establish links with the spirit realm. Belief in spiritual realms of life and all of its varied manifestations is universal. The most common belief in many societies is that spiritual guides often use animals or animal imagery to communicate their purpose and roles to humans. In our modern, rational society there is a tendency to scoff at such possibilities. Spirit-beings –whether in the form of saints, angels, ancestral contact, fairies, and elves, demons, and even animal totems–fill our ancient myths and scriptures. When beliefs are as universal as these, some credence must be given them. Their descriptions show them to be as diverse as the humans we meet on a daily basis. They serve many functions upon the planet. They help us to recognize our own innate abilities. They help empower us and protect us. Their energies can be used to help heal, inspire and grow. 1. Every animal has a powerful spirit. 2. This spirit may be it’s own, or that of a being who uses the animal image to communicate messages of the world to humans. 3. Every animal has it’s talents. A study of it’s talents will reveal the kind of medicine, magic, and power it can help you to develop within your own life. Remember, every animal has a specialty. 4. Lifelong power animals are usually wild, not domesticated, animals. There are few exceptions, but even these exceptions are often just links to the true power animal. For example, people may have dogs or cats as totems. These have their own medicine and power, but the domesticated animal may only be a softened form of it’s wild counterpart. A dog may be a link to the wolf, coyote, or any of the wild canine family. A cat may be a link to a member of the wild feline family, such as panthers, lions, tigers, and such. For many, beginning with the domesticated form of the totem it’s a way of laying a foundation so that some day they will be able to handle and work more effectively with it’s true power form. 5. The animal chooses the person, not the other way around. Many believe that they can just choose an animal and start communicating with it. Usually ego gets in the way at these times. The individual chooses the animal he or she believes to be the most glamorous and powerful, rather then what is harmonious to the individual. These results are ineffectual and often frustrating. No animal is better or worse then any other. Every animals medicine is unique. It is always much better to be powerful in mouse medicine then it is to be clumsy and ineffectual in eagle medicine. You will find your greatest success in the animal that comes to you. 6. You must develop a relationship with your totem. To communicate with them demands respect. You must learn their point of view. Animals will not just warm up to you immediately They must learn to trust you and your limitations, and you must learn to trust them and their limitations. This takes time, patience and practice. 7. You must honor your totem for it”s medicine to be effective in your life. The more you honor them– the more significance you give them in your life–the more powerful and effective they become. Some of the ways you can honor them and draw them closer into your life is by: Hanging pictures of them, Drawing pictures of them, Reading and learning as much about them as possible. Also, by donating to wildlife organizations with time and / or money. The power of the Spirit of the East is illumination that opens the spiritual eye and brings enlightenment and discernment. It is the power of new beginnings and of fresh new life, like the awakening of Spring after the dormancy of Winter, and the arising of Dawn whose light disperses the darkness and dispels ignorance. It is awakening. It is new light. It is newness of life. Experience something of the power of the East for yourself. Get up early enough to go out into the open air where you can listen for the start of the new dawn chorus as birds awaken from their slumber and herald the rising of the Sun in the East and you will know the joy of enlightenment. In Springtime, absorb yourself in the wonder of new life that is springing up from the earth all around you and contemplate on it, and you will recognize something of its tremendous power and vitality. The Totem of the East is the Eagle. The Eagle flies higher then any other bird and therefore closer to the Sun, the source of light. Its closeness to the Sun – symbolic of the Great Spirit – is the reason for Eagle feathers being so prized by the Indian and used in headdresses and in other ways to indicate the wearers desire to draw close to the Great Spirit, and to the High Self. The color assigned to the Spirit of the East is Yellow – the color of the rising Sun, and of illumination and enlightenment. So the EAST is the Path to work onto seek enlightenment, or in starting a new project, or when looking for a fresh new approach to a phase of ones life. 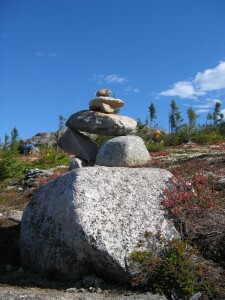 Totems can be used for meditation; one method of utilizing spirit guides or totems are to notice the creatures that enter your life or spirit path (we have many throughout our lives) and the message they bring in relation to you current life focus to assist, guide, and teach in an effort to live life happy and content. We can utilize animal guides to guide us out of a subject that the answer to may elude us or boggle us. There is no power in the animal itself but in its meaning to you and, how you use the insight. Some times if we step away a bit, we can gain more insight into ourselves, and our environment; which is alive and possess meaning and solution. In prayer we think deeply and gain meaning through deep thought and intention; this is similar to utilizing totems. A quiet place conducive to meditation no distractions or noise; and we do not force guidance, we ask and must follow the meaning, or determine that this is not for us and move on; never the less the major message is to respect ourselves, others, and mother nature. If you would like more information on some aspect of fallowing spirit guides, or animal guides several sources can be found on the internet or you local book store. Staff Note: Since March, our in house psychic blogger J. Nighteagle has been teaching us a bit about animal totems. There’s been a lot of buzz and compliments coming in about the series and we thank you all for your excitement and are happy you are enjoying the series as much as we are. 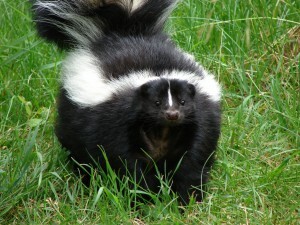 For his last animal totem, J Nighteagle teaches us about The Skunk as a totem. Many careers and personal lives have been ruined or accelerated based on reputation, (we need to remember that information is power), weather true or not. The Skunk is a cute little creature, that tends to keep to him self and his species that by reputation only becomes defensive when his space is violated; when this happens he sprays this is not a physical attack but, an attack on the senses; this is one of the first lessons animals learn in the wild; humans by movies, reading, and in actual life. A persons reputation will follow them throughout there life in one way or another; a good reputation in your chosen field is essential to advancement; a bad reputation (anger, losing ones temper, not getting along with people or an argumentative nature is not conducive to a pleasurable atmosphere. In this modern world a persons reputation often precedes actual contact, and is the bases of trust and effectiveness, in all endeavors. Skunk people are very magnetic and put out positive vibes; for this reason the Totem of the skunk is very positive (individuals are happy and magnetic). Skunk people have a great tendency to stand up for what is right in them selves and others, and detract automatically from an uncomfortable or threatening situation leaving behind a message that says leave me alone and do not follow. Contrary the Totem of the Skunk means that one should pay attention to their reputation; It will follow you, in life and career Are you putting out bad or uncomfortable vibes, or possess a reputation of helping or assisting others; just being a happy or positive individual. Skunk people are very conscious of there environment, and effects of all concerned. This week he teaches us about The Crane as a Totem. Many times in todays stressful and active life people will feel overwhelmed and the feeling of TO MUCH AT ONCE will usually be the predominate feeling. People in todays world will say that you need to keep up to succeed; if you don’t, you will lose (and to a certain extent that is correct). People will feel as if stress is a new thing, but it is not. Stressors tend to differ, however the physical effects tend to be similar. In todays world people are technologically knowledgeable and will depend on multitasking (this in itself is stressful to some). We are stressed by the speed of technology, not running from a giant Bear like our ancestors. The Crane teaches us to go back and refer to the ways our ancestors use to deal with problems; and the answer you seek will be there. Human beings live longer these days and thus have better health care more advanced technologically, culturally and our access to world knowledge. 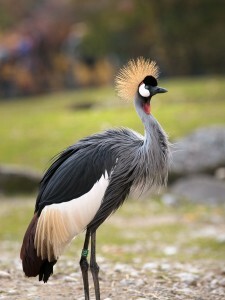 All these sources of knowledge although new in usage are based on old traditions and this is what the Crane means: do not forget old techniques and ways; these techniques have evolved through the lives of human beings and the life we share the planet with. Modern human beings have only been around a short time, our ancestors were around for hundreds of thousands of years, In most cases knowledge has evolved some cultures have lasted many, many generations longer then modern culture. Science is realizing this more and more all the time. If The Crane has flown into your life; the message is look into the old ways, the answer to you current situation has been tried and has evolved in its effectiveness. The Crane shows us that the way of mind, body, and spirit all go together, in other words one compliments the other, and is essential to the other. Our stressors are different, but our physical reaction is the same; look to the knowledge of the past. This week he teaches us about The Buffalo as a totem. 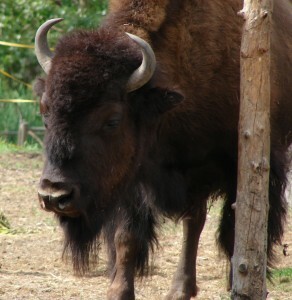 The Buffalo is a very important Totem, it’s extremely spiritual and a part of all realistic life. The Buffalo teaches us to understand the direct connection between spirituality and reality and how one dictates the other. We all know how the great herds were decimated by man, and either known or unknowingly decimated cultures and human lives; all that was required to maintain the balance that has been in existence for many generations was and still is respect. Man has sacrificed much of life for the benefit of himself and in the process, given up much of himself. The Buffalo is directly responsible for numerous religious and spiritual belief systems, cultures, life and death… existence. 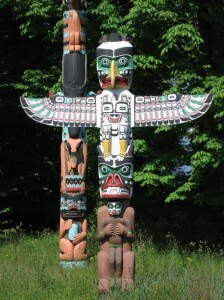 This totem always represents the essential process in faith or belief and how it applies to reality in its many colors. In past cultures it was life (belief systems are a result of positive conditions) or the golden rule, essential for life to evolve and grow. With the advent of pollution man is decimating the gifts of earth; things that were taken for granted are now realistically needed for life to thrive; bees, fish, water and air. At this point of human evolution (at least in this country) we have been presented with a choice; Spirituality is a choice and not a way of life as it was before. The Buffalo shows humanity the importance of prayer and spirituality in life of all time, current and past (this will lead to the future). Many individuals ask me what does spirituality have to do with real life, the answer is everything; it is the force that keeps us going and learning. One thing compliments the other, and is necessary for direction in life. The various aspects of the Buffalo is a life time study. On the medical wheels of many cultures The Buffalo is the symbol of the North: some correspondences of the Buffalo or North are as follows: color is white, element is air, qualities are knowledge and wisdom, human aspect is mind, time is future and manifestation is science, religion and philosophy. The symbol of the White Buffalo is the highest representation of spirituality (or God) in many native cultures. The Buffalo is also the highest representation of authority, honesty, prayer and abundance.